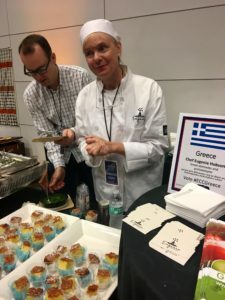 I could have spent the evening chuckling at phrases like these, but there was too much fabulous eating to do at the Events DC Embassy Chef Challenge held May 24 at the Ronald Reagan Building and International Trade Center. 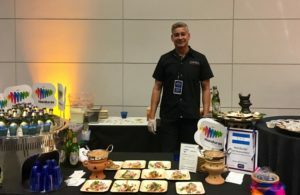 The sold-out crowd of 1,200 enjoyed dishes from 27 embassy chefs from Afghanistan, Azerbaijan, Barbados, Belgium, Bolivia, Chile, Cyprus, Dominican Republic, Ecuador, El Salvador, Ghana, Greece, Haiti, Honduras, Indonesia, Iraq, Jamaica, Kenya, Kyrgyzstan, Mauritius, Moldova, Morocco, Nepal, Pakistan, Paraguay, Peru, Philippines, Qatar, Rwanda, Saudi Arabia, Singapore, Sri Lanka and Uzbekistan. 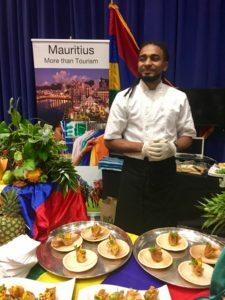 While the event is primarily about the chefs showcasing the flavors of their respective countries, they are also competing for the titles of Judges’ Choice Champion and People’s Choice. 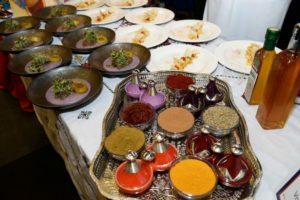 Chef Moha Fedal of Morocco was the Judges’ Choice Champion for his Marrakech tangia made with lamb shoulder, preserved lemon, saffron, turmeric, garlic, aged butter and olive oil sealed in a clay jar. 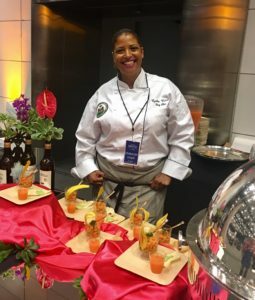 Chef Cynthia Verna of Haiti was selected as the People’s Choice Champion, chosen from votes cast by attendees. Her plate of shrimp, plantain chips and fine herbs aioli won a majority of votes cast via social media and paper ballots. 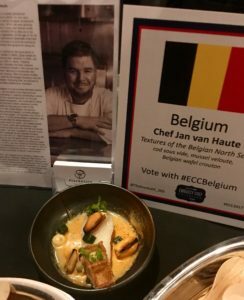 I concur- as I voted for this dish as one of the favorites. 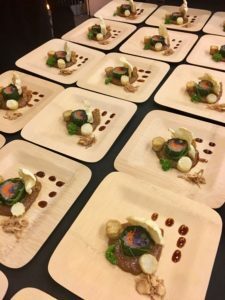 Here are some of my other highlight dishes.